Ok friends, here’s the deal. I know so many of my couples are scrolling Instagram and Pinterest falling in love with those epic, jaw dropping portraits set in a serene location. 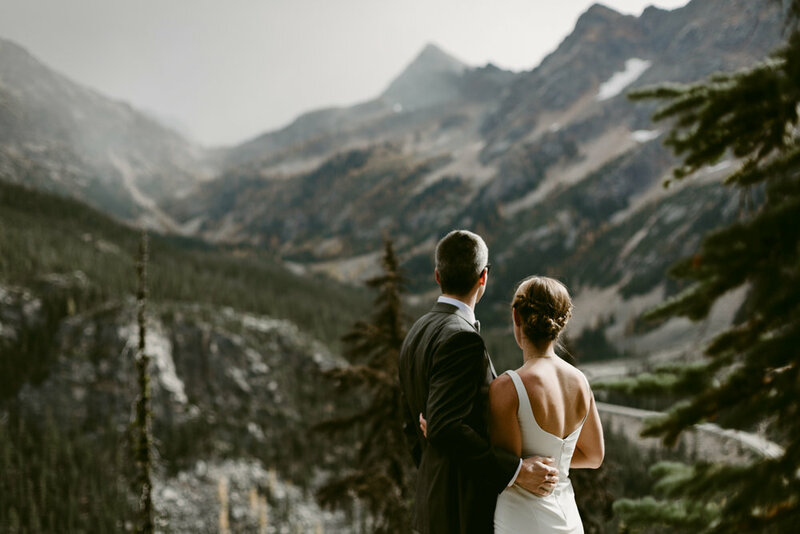 Maybe the couple is atop a mountain in the northern cascades or on a coastal cliff looking out over the Pacific Ocean. Only thing is, on a wedding day, we are fairly limited with our ability to travel away from the venue. The general flow of a wedding doesn’t always give us the option to hop in a car and drive a few hours for photos. This, my friends, is when a newlywed adventure session might be just what you’re looking for. Whether the next day or the next week, you two will hop back into your wedding clothes and we’ll head out on a customized photo adventure to wherever your hearts desire to go. The sky really is the limit here. If you can dream it, we can do it. I have chosen a handful of my favorite images from a newlywed adventure session with two of the most lovely people I have had the pleasure of photographing, JB and Baylie. Thank you so much to my dear friend and very talented photographer, Sol Gutierrez for teaming up with me and contributing to the images below. Baylie is a Seattle-based illustrator, designer, and the founder of Red Umbrella Designs (redumbrelladesign.com). If you’re a PNW native or human who loves art, I highly suggest you hop over to her site and check out her work. She is a truly sensational creator and an overall badass woman I am proud to call a friend. We drove up to Washington Pass lookout on highway 20 just north of Mazama, WA. 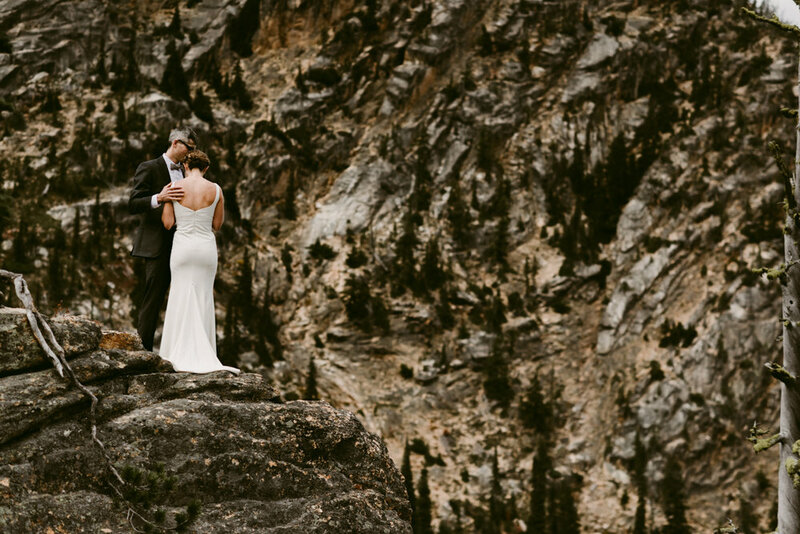 Baylie grew up in Winthrop so it’s no surprise that she wanted to adventure up to one of the most serene lookouts in the area for their bride and groom portraits, Washington Pass. Our time at the lookout was peaceful and relaxed. We walked around the area, stopping for pictures when it felt right. 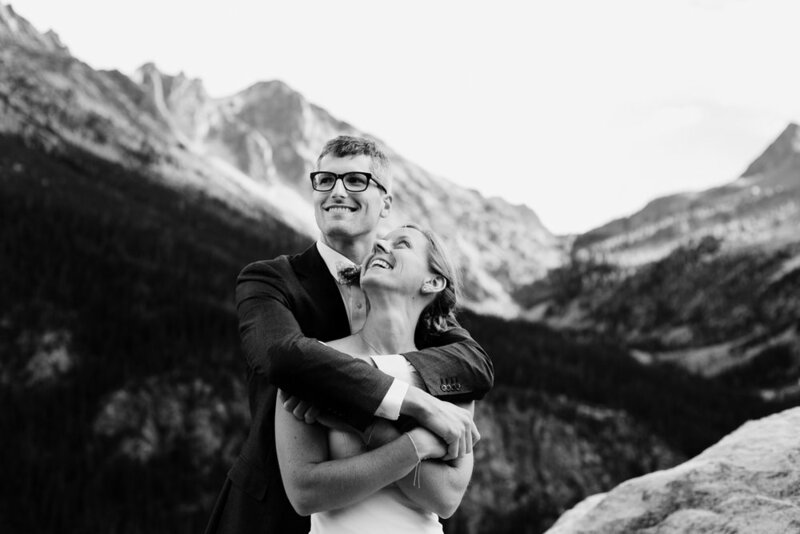 Baylie and JB set their intentions on being present and soaking up each and every moment with each other while looking out over the jagged peaks. 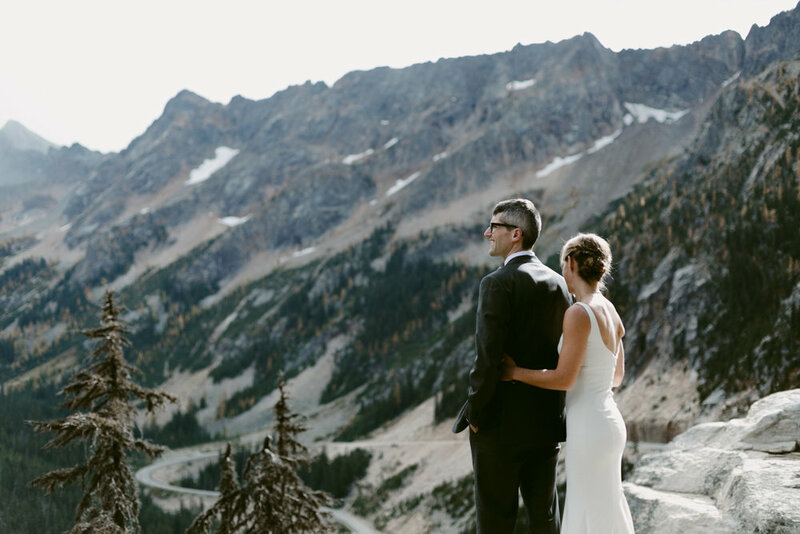 They even hopped the fence and ventured out onto the rocks that overlook the iconic Washington Pass and winding road below.